And calls you forth again!" The time is approaching soon that the Mexican Milkweed, also known as Tropical Milkweed (Asclepias currasavica) in the Container Butterfly Garden will be cut down to mere 4 to 6 inch stubs. "You're kidding: why?!" you may ask. 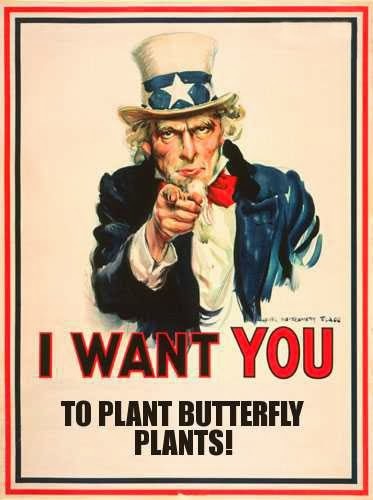 Not to reinvent the wheel, Is Tropical Milkweed Killing Monarch Butterflies - Grow or No Grow? pretty well covers the topic. The container garden is home to Mexican Milkweed, plus several other California and North American native species. These native species are deciduous, meaning they go dormant during the winter when the plant parts above ground die back, only leaving the roots to regenerate new top growth in the spring. This drastically reduces OE spores that have been wreaking havoc in certain sectors of Monarch Butterfly populations. OE hotspots are mostly identified with regions of the U.S. where Mexican Milkweed overwinters, meaning, it doesn't die back or go dormant. Hotspots for OE are the west coast strain of Monarchs, and the Florida race that has come into existence due to the large amount of perennial milkweeds now growing there. What is OE? gives a good description of this parasite and why it is so prevalent on the west coast and Florida. Cutting back Asclepias curassavica helps to severely curtail or eliminate OE spores from overwintering on the leaves of Mexican Milkweed. Native milkweeds are not very glamorous in appearance as is A. currasavica. They "go away" in the winter, many times leaving gaping holes in the landscape until the following spring when they pop up again. Availability in standard nurseries is pretty much nonexistent. Mail order of small plants or seeds of native milkweeds is about the only way to acquire natives which definitely precludes them from being an impulse item. If one has A. currasavica planted in their gardens, be it in the ground or in containers, it would be advisable to trim them way down soon so as not to propagate next season's OE spores, and also stimulate adult butterflies to traditionally migrate to their ancestral overwintering sites like God originally intended. I will cut mine back around the beginning of December; that will give any adult Monarch stragglers enough time to pack it up and head to their nearest overwintering grounds. The Gray Hairstreak butterfly can be a common visitor to So Cal gardens when one has Plumbago planted nearby. These diminutive little flyers, if visiting your locale spot Plumbago, they surely will come to linger. For a seemingly monochrome colored butterfly, Gray Hairstreaks are quite handsome. Found throughout all of continental United States, their home range covers Central America, all the way down into Venezuela. 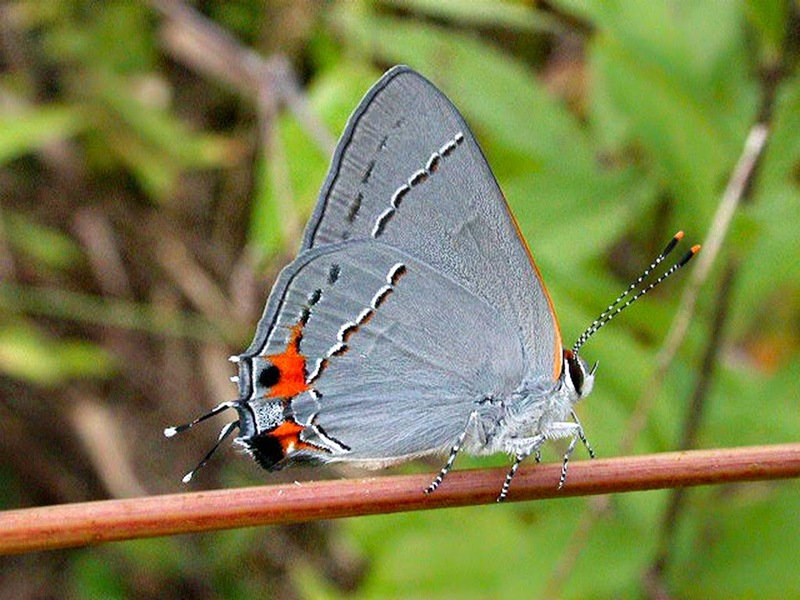 Because of its ubiquitousness, some have suggested that besides the Monarch, the Gray Hairstreak butterfly should be considered the national butterfly. 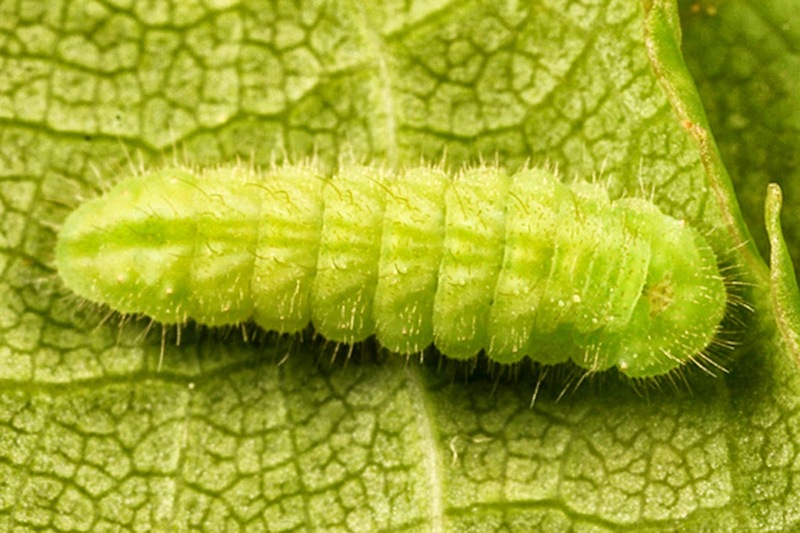 Larvae feed on an almost endless variety of plants including those in the mallow family, malvas, various legumes and buckwheats. Coloration can vary widely depending what host plant they feed on, many times taking on the coloration of the host's flowers. For host plants in a garden, try Plumbago and Hollyhocks. 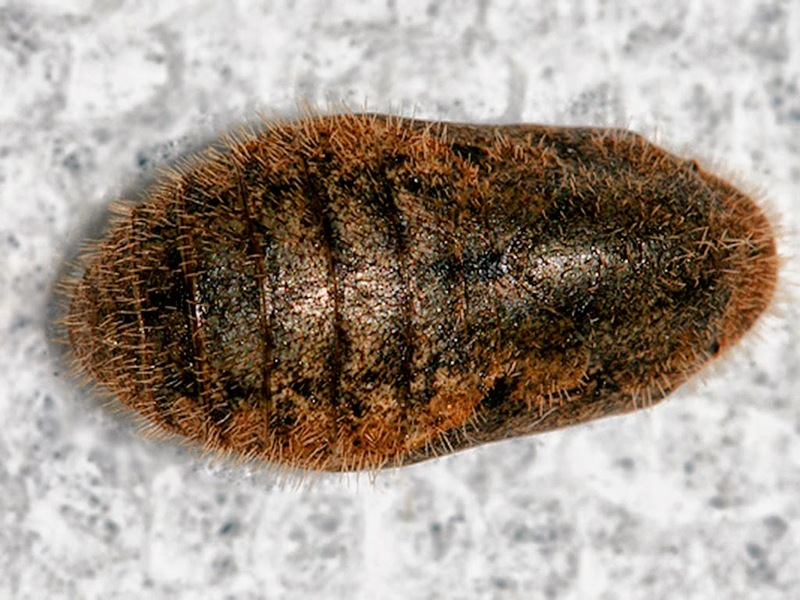 Gray Hairstreak chrysalides look more like fuzzy fly pupae than they do butterfly chrysalides. Thankfully, the adults are cuter and more beautiful than flies... although a choice specimen of a Green or Blue Bottle Fly can be quite handsome within its own right. I used to find Gray Hairstreaks at Alta Laguna Park rather frequently flitting about the blue Plumbago flowers in front of the tennis courts, especially in the latter part of July through October before the nights got chilly.